A Bronx Tale: The Musical begins previews on Broadway at the Longacre Theatre tomorrow night. The new musical features a book by Academy Award nominee Chazz Palminteri, music by Oscar, Grammy, and Tony Award winner Alan Menken, and lyrics by Grammy Award winner and Oscar and Tony Award nominee Glenn Slater. The show is co-directed by two-time Oscar winner Robert De Niro and four-time Tony Award winner Jerry Zaks, with choreography by Tony nominee Sergio Trujillo. Based on the one-man show written and performed by Chazz Palminteri that inspired the now classic film, this streetwise musical will takes the audience to the stoops of the Bronx in the 1960s—where a young man is caught between the father he loves and the mob boss he’d love to be. Featuring an original doo-wop score, this is a tale about respect, loyalty, love, and above all else: family. The musical premiered at the Tony Award-winning Paper Mill Playhouse in Millburn, NJ to critical and popular acclaim earlier this year and officially opens on Broadway on December 1st. With the late Howard Ashman, Alan Menken wrote the Off-Broadway shows God Bless You, Mr. Rosewater and Little Shop of Horrors. After the success of Little Shop, the pair became musically responsible for the first films classified as having been made during The Disney Renaissance -- including The Little Mermaid, Beauty and the Beast, and Aladdin. The two were working on Aladdin at the time of Ashman's death. Menken collaborated with Stephen Schwartz for Pocahontas and The Hunchback of Notre Dame. In 1997, Menken reunited with an early collaborator, David Zippel, for Hercules. His other film scores for Disney include Newsies, Home on the Range, Enchanted, and Tangled. 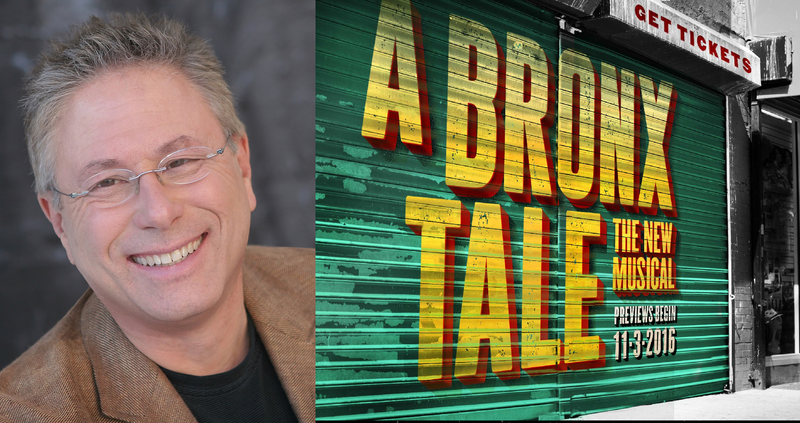 For the stage he’s adapted his work on Beauty and the Beast, The Little Mermaid, Newsies, Hunchback of Notre Dame, and Aladdin, and he’s written original scores for the stage adaptations of Sister Act, Leap of Faith -- and now, A Bronx Tale The Musical. 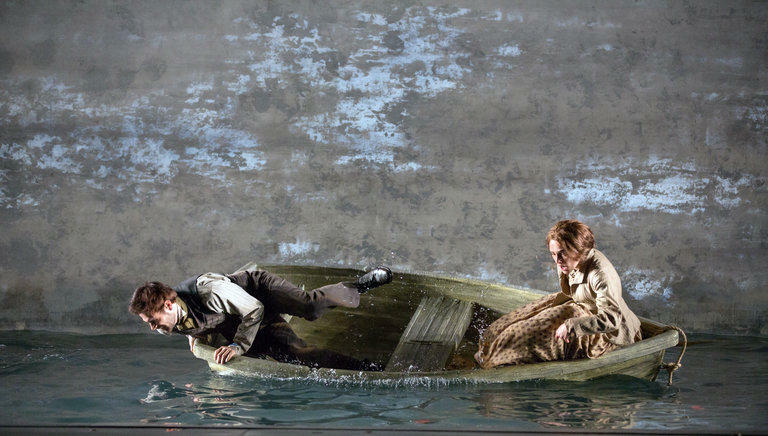 Tony Award winning scenic designer, Beowulf Boritt received his third Tony nomination last month for his design for the Roundabout Theatre Company production of Thérèse Raquin. His previous designs for Broadway include Rock of Ages, Sondheim on Sondheim, The Scottsboro Boys, Chaplin, and Act One -- for which he won his Tony Award. He also designed The 25th Annual Putnam County Spelling Bee and On The Town at Barrington Stage in Pittsfield, moving those designs to Broadway. He’ll return to BSC this summer, designing their production of The Pirates of Penzance. 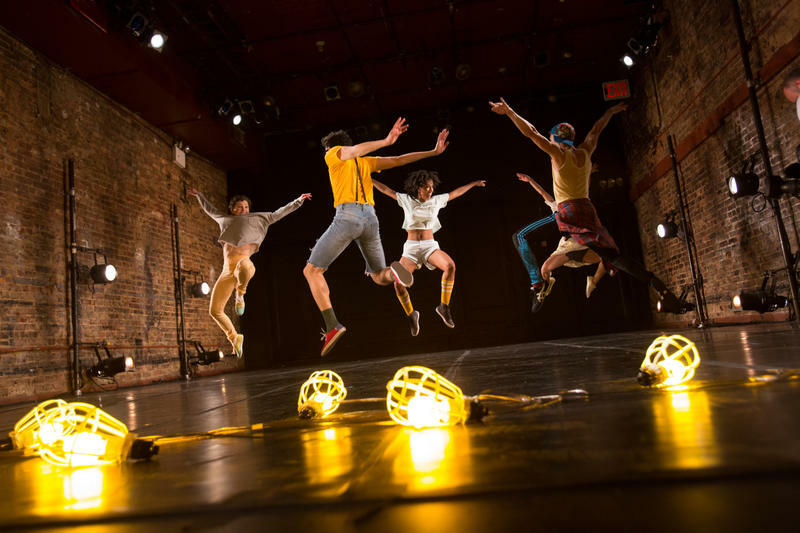 The Chase Brock Experience is the Brooklyn-based contemporary dance company led by choreographer Chase Brock. They will perform at PS21 as part of the Chatham Dance Festival at 8 p.m. on Friday and Saturday. Chase Brock is an acclaimed choreographer working in theater, modern dance, ballet, opera, television and video games. He joins us now along with Obie and 4-time Tony Award winning lighting designer, Kevin Adams. Adams has worked extensively on Broadway winning his Tony Awards for The 39 Steps, Spring Awakening, American Idiot, and Hedwig and the Angry Inch. Kevin Adams has designed the lighting for Chase Brock’s The Song That I Sing; or, Meow So Pretty -- one of 4 pieces being performed at PS21 this week. 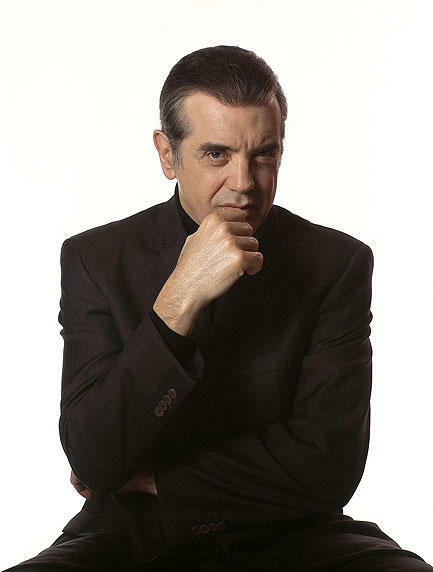 Proctors in Schenectady will take on a downstate feel on Sunday, March 22 when Academy Award-nominated actor Chazz Palminteri performs his one-man show A Bronx Tale, which became a beloved movie of the same name directed by Robert de Niro. 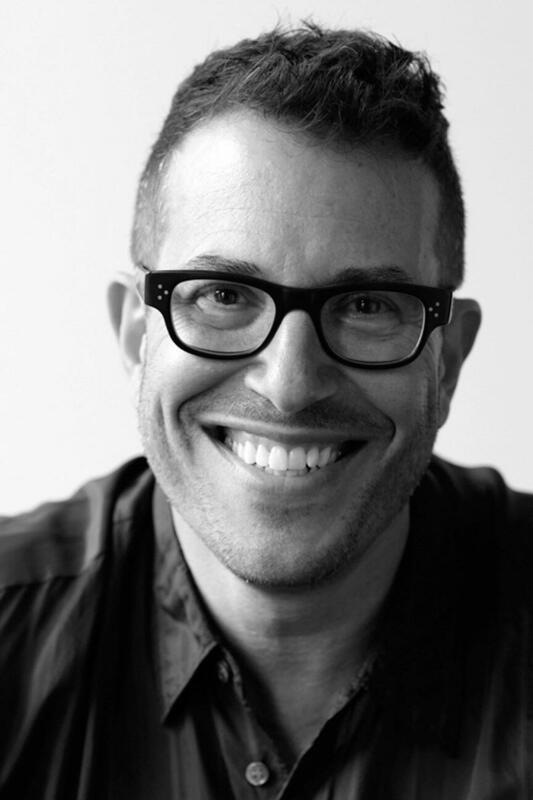 Michael Mayer is the Tony-Award winning director of plays, musicals, opera, and film and television who helmed the Broadway revival of Hedwig and The Angry Inch, and the original runs of the musicals of Everyday Rapture, American Idiot, Spring Awakening, and Thoroughly Modern Millie. He’s also directed revivals of A View From the Bridge, The Lion in Winter, After the Fall, and ‘night Mother. His breakthrough of sorts was Side Man. Side Man had an early production in Poughkeepsie, NY at Vassar College and New York Stage and Film’s Powerhouse Theater -- it moved to off-Off-Broadway and then to Broadway winning the Tony Award for Best Play in 1999. Michael Mayer has been coming back to Poughkeepsie in the summer for 20 years, working on shows in various stages of development and recently joining the New York Stage and Film board of directors. He was in the Hudson Valley this summer working on a new musical entitled Head Over Heels which blends Sir Philip Sidney’s The Countess of Pembroke's Arcadia with the music of seminal 80s girl-group, The Go-Go’s. Jeff Whitty is writing the book and Tom Kitt will provide musical supervision.